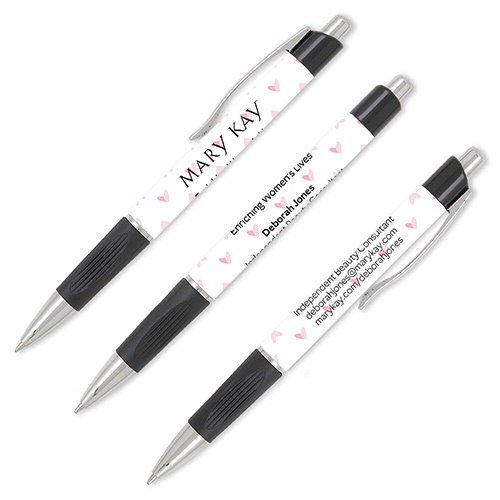 Increase your promotion opportunities with this fun, heart-dotted ink pen. Each pen has polished silver accents, ribbed grip, and a metal clip. Add up to four lines of personalization. Heartfelt ink pens are a great way to keep your contact information at the fingertips of current and prospective customers!